Here's the perfect activity for your little superhero fan- Mix & Matching Superheroes! Grab this free printable and begin making crazy superhero combinations like Hulk legs with Captain America's body, and Wolverine's head! My 3-year old is all about superheroes! He is constantly shooting webs like Spider Man, running around like Flash, flying through the air like Superman, or growling like The Hulk! So I had fun creating these Mix and Matching Superhero Puzzles for him. It's a simple and fun matching activity for toddlers and preschoolers. 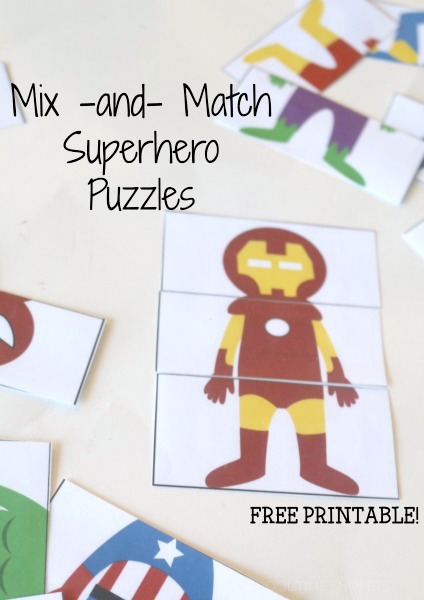 These three piece superhero puzzles make a great busy bag activity or would even be fun to play with by adding magnets to the back for the fridge! Make sure you read all the way to the end of the post, I've got another special superhero freebie to share with you!! As I mentioned above, my 3 year old is ALL ABOUT superheroes! Whenever we head to the library, he knows exactly where to find his favorite Superhero Squad storybooks . 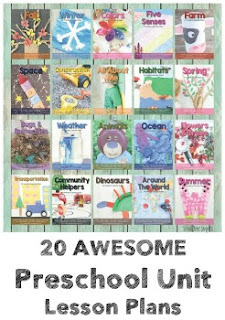 After reading your favorite Superhero Squad storybook , keep these superhero puzzles close by; I am sure your little one will enjoy matching the puzzles together to make his/her favorite superhero or mixing them up to create a new superhero! Laminate the sheets for durability. Then, cut the puzzles apart along the black lines with scissors . Set up the activity in a nice three piece tray, or just scatter the puzzle pieces on the table. Now, mix or match the superheroes! Even those that may not know every superhero will be able to match the cards up by coordinating colors. 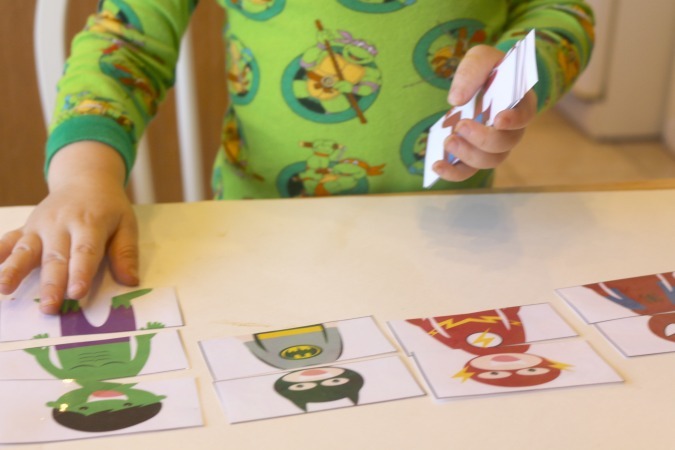 You may find that your child is eager to put a super hero together using the matching pieces, but your child may also find it fun to mix and match the super heroes! A hulk face with spiderman's body, and batman legs??!! is sure to bring some laughs! When your little super hero is done with the puzzle pieces, save the printable for another day; it makes for a great idea to pull out when you are busy prepping dinner, helping out another child, or just need a quiet activity! Have a princess fan?! Read and print out a set of Mix and Match Princess Puzzles here! More Super Hero Activities to Enjoy! 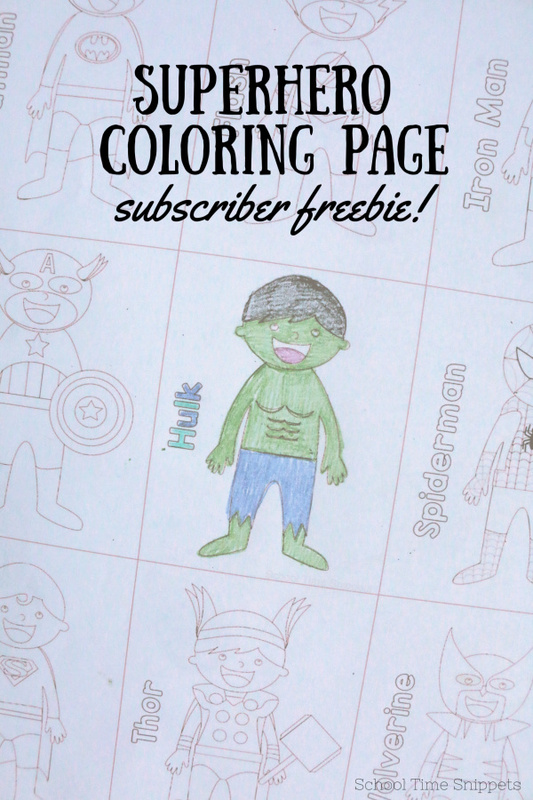 Superhero Coloring Page Subscriber Freebie! 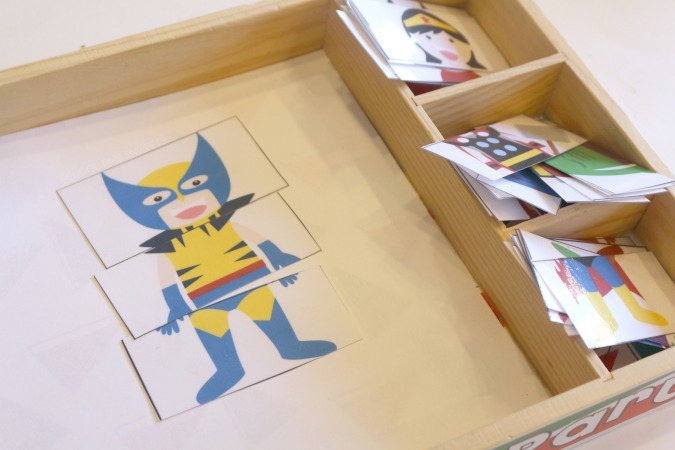 Love these Superhero Matching Puzzles?! I've got another superhero freebie just for you in our printable resource library-- a Superhero Coloring Page! On this simple coloring page, your little one can color 9 of their favorite superheros as they are known, OR your child can get creative and color the superheroes with all new colors! Join our subscriber list to get access to this fun superhero printables & ALL of our other resources!